J.Crew women’s solid short-sleeve popover shirt, Ray-Ban® sunglasses and woven baseball cap. J.Crew women’s Thomas Mason® for J.Crew boy shirt, garden pant, shape cluster pendant necklace and new uptown tote bag. J.Crew women’s short-sleeve popover shirt, Rayner wide-leg jean in white, Ray-Ban® sunglasses and Lena slide heels. J.Crew women’s Thomas Mason® for J.Crew boy shirt and shape cluster pendant necklace. J.Crew women’s linen Regent blazer, seaside pant and jeweled T-strap sandals. 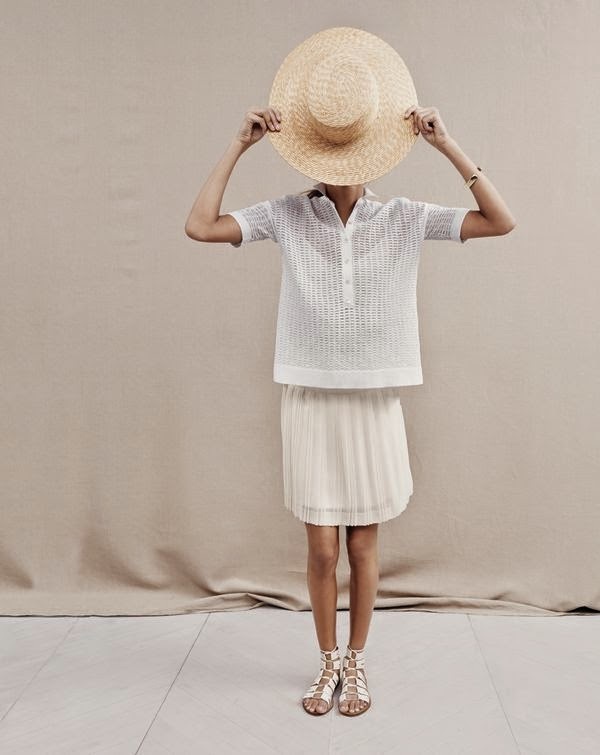 J.Crew women’s Collection mesh polo, stitched-down pleated mini skirt and wide-brimmed beach hat. 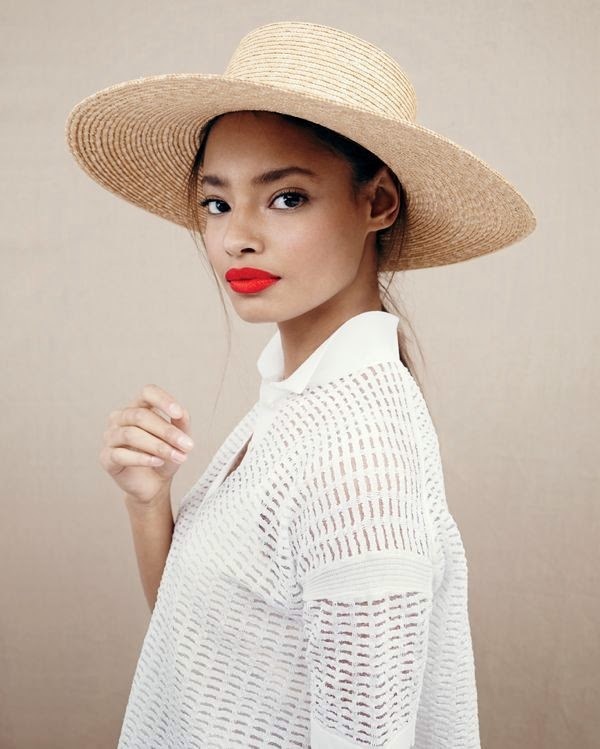 J.Crew women’s Collection mesh polo and wide-brimmed beach hat. J.Crew women’s iridescent shimmer V-neck sweater, Martie pant, thin hoop earrings and crackled gold foil clutch. J.Crew women’s seamed shell top in zigzag eyelet, gold-foil tuxedo striped short and fringe slingback sandals.